You must make bookings at least 5 minutes in advance of the time at Chez Bruce. Limited paid parking is available at Wandsworth Common station as well as on Bellevue Road and St James's Drive. We are 200 yards from Wandsworth Common British Rail station, not to be confused with Wandsworth Town station. By train, Clapham Junction is 3 minutes away and Victoria station 12 minutes. The nearest tube stations are Clapham South and Balham, both about 15 minutes walk. We have staged many highly successful parties and events where guests hire the entire restaurant for very special occasions; anything from a birthday, wedding or anniversary celebration to a Burgundy Wine Grower’s dinner. 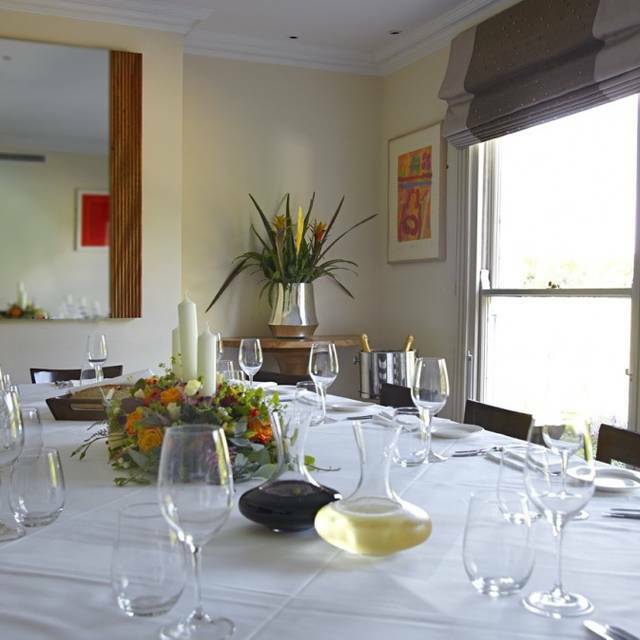 We have a lovely first floor dining room overlooking Wandsworth Common which can be booked for parties of up to 16 guests for exclusive private use. Reliably superb! 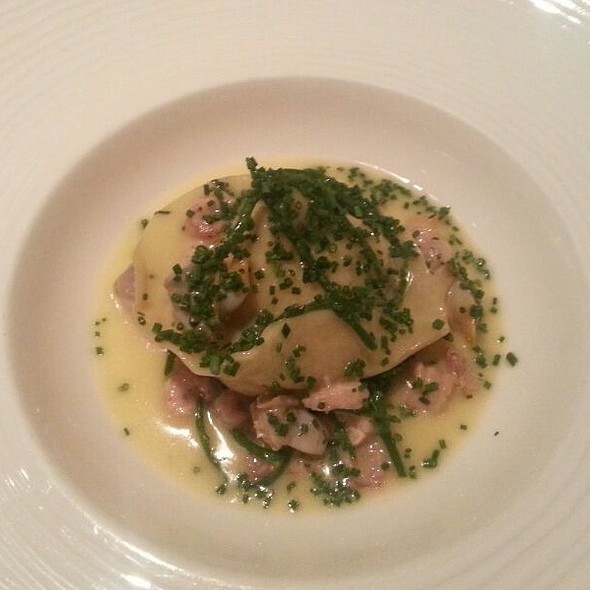 Food was excellent, the service impeccable and the wine list as good as ever. Fantastic place and wonderful food but expensive. One for special occasions but it is special. Always wonderful, a real treat. 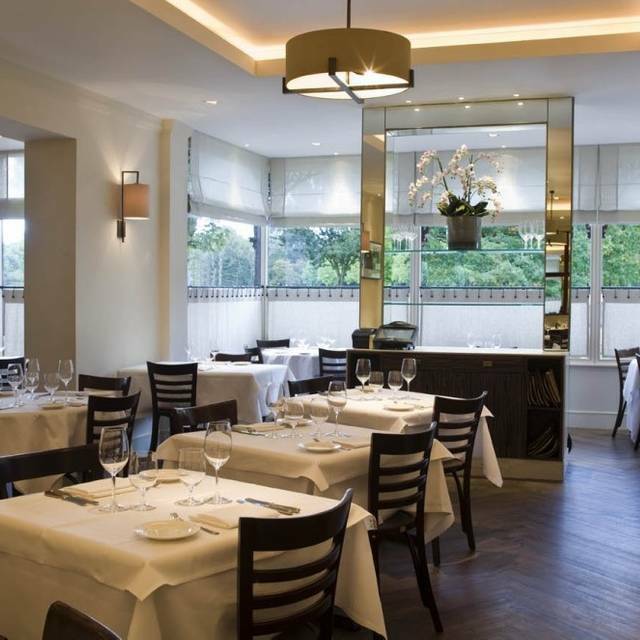 Our favourite restaurant in London! Food and service are amazing. Great food, one issue with my starter - disappointing for a Michelin star restaurant but the staff more than made up for it! First time at Chez Bruce and wont be the last. Very nice place to be, everything was really good. Would highly recommend trying this place. When my fiancé said that he just wanted to go 'somewhere special' for his 30th birthday lunch, Chez Bruce immediately sprang to mind; even though I'd never been myself before, it's somewhere I've only ever heard incredibly good things about, and handily it's local to us too. All those incredibly good things were true; from the welcome on arrival, to the ambience, the choices on the lunch menu (although it is a set price, it's not what you could call a set menu as there are about eight choices for each course), the quality of the food itself - more of that in a second - and the overall value for money for a three-course, Michelin-starred meal with great wine. We had: starters - deep fried calf brains, sauce gribiche mains - grilled Loch Duart salmon with asparagus and gnochettti dessert - honey bavarois with rhubarb, and cheese. Everything was outstanding, both technically in terms of preparation, visually in terms of presentation and most importantly, taste. Also worth noting is how generous the portions were for a restaurant like this; in many Michelin-starred restaurants they would have been half the size! The cheese deserves extra-special mention; the cheeseboard at Chez Bruce is famous and deservedly so, offering about 25 cheeses from across Europe and I was invited to choose as many as I wanted, including a Belgian hard cheese I'd never tried before, a wonderful Perl Las blue, an oozing Epoisses and a wonderfully nutty, rich 21-month-aged Comte. The wine list is very fairly priced with prices starting affordably low (low £20s) and not going too intimidatingly high even at the top end. I was also impressed how many were available by the glass, carafe and half bottle. Service was superb, professional and precise but not at all formal or stuffy; all in all I couldn't think of a single thing to fault about Chez Bruce and can't wait to return. great local restaurant. Tables however were rather close together so it felt a bit cramped and service was a little overwhelmed at times. As ever, fantastic meal Chez Bruce, and well worth the (considerable) outlay. Very much a "special occasion" restaurant if you're not loaded. If you've balked at trying offal such as sweetbreads (or on this occasion brains) this is the place to give them a try, they can be a revelation, as was tonight's pigeon. There are always classics (roast cod, cote de boeuf) for the less adventurous and these are consistently fantastic too. The cheeseboard is deservedly legendary though the desserts are not to be missed - even if you're not usually a dessert person. Tonight there was obviously a hiccup in the service, with a long wait after main courses. These things happen. Importantly, it was noticed and dealt with quickly - profuse apologies, explanation, two glasses of exceptional and unusual wine offered for free with the cheese, and the service charge removed without us asking. For this reason I'm giving 5 stars as ever. My only slight issue at Chez Bruce is that it can be quite noisy - if you're going with someone hard of hearing ask for a quiet table (? near the front). 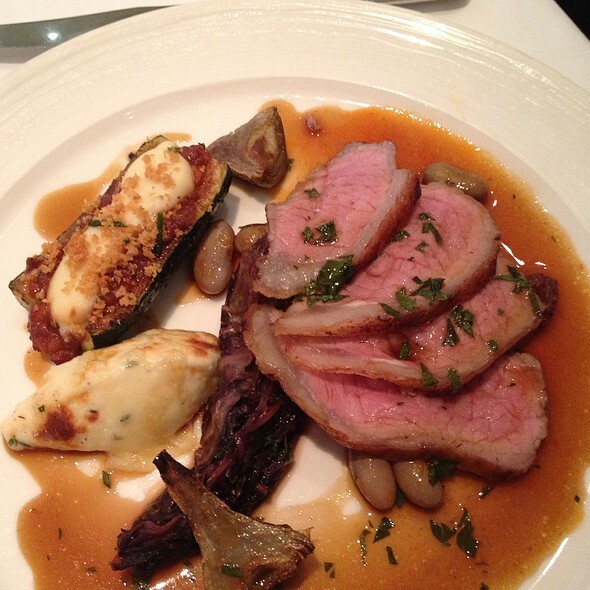 Always outstanding, from the food to the service - Chez Bruce never disappoints. 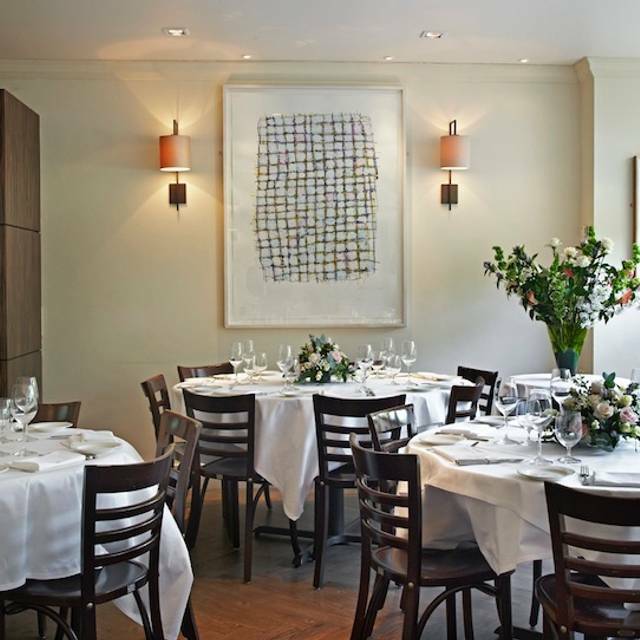 We’ll be coming back soon, it’s one of my favourite restaurants in London. Chez Bruce offers a delicious choice of food. The menu caters for all tastes and I have yet to be disappointed with the numerous times I have paid a visit. Five stars from me. 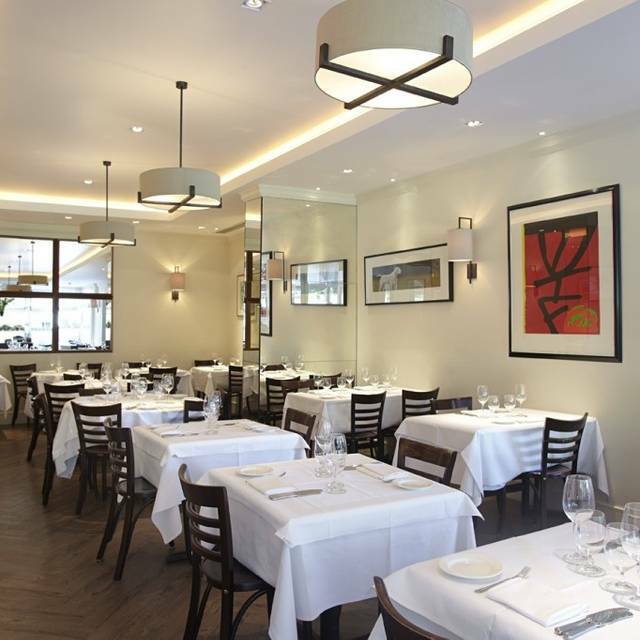 A trusted favourite, never lets you down, beautiful food, great wine list and lovely staff. I came for Sunday lunch. The food was exquisite. I had a wonderful foie grad and chicken liver parfait which had an incredible jelly made from moscatel - a fabulous foil to the richness of the parfait. The veal chop was a joy: served on the bone, very thick cut - I’ve never had veal like it before - just off-pink. The cheese board is renowned in south London; I now know why: an excellent selection of 16 cheeses from all over the UK and the EU. I’ll be bringing my family here for my birthday celebrations later on this year, as a result! Chez Bruce is a really good restaurant which reminded me of other great restaurants back in Italy. Excellent. Truly wonderful evening yet again, went for a friends birthday. I’ve frequented this restaurant several times now over the past few years and it really is a wonderful experience every time. Delicious food and excellent wine! Delicious food as always! 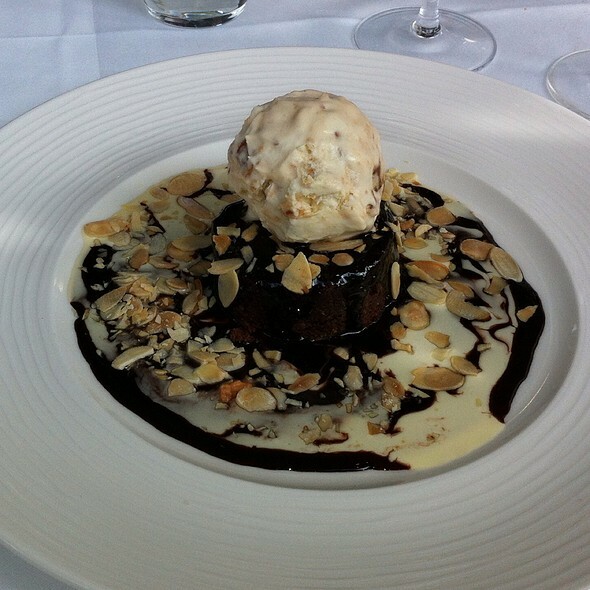 Favourite of course is the hot chocolate pudding! The Chez Bruce staff were professional, but we both thought the food was somewhat lacklustre. It just felt like a restaurant, and menu, designed by committee to be inoffensive and the whole experience was a bit corporate and dare I say it, staid. 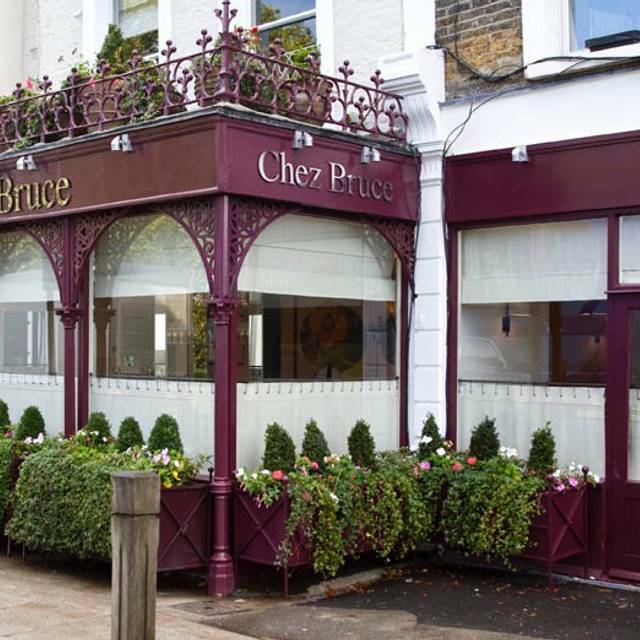 Locally, it has a great (and probably hard-earned) reputation; just can't help but wonder if Chez Bruce might be resting on its laurels. Have dined at Chez Bruce a few times and the food never disappoints, the flavour combinations they use are always delicious and interesting. The cheese selection at your table is always a real treat. Drink selections are also very good - we had the house special cocktail and it was excellent. The service was overall very good, but some of the staff could smile a bit more, a few seemed very disinterested, which is not what you pay for in this kind of restaurant. Food is great, so we will definitely be back. Always a fantastic experience. Highly recommended. My son’s birthday with family and friends. We were very well looked after and the food was excellent. What an absolutely exemplary restaurant this is! 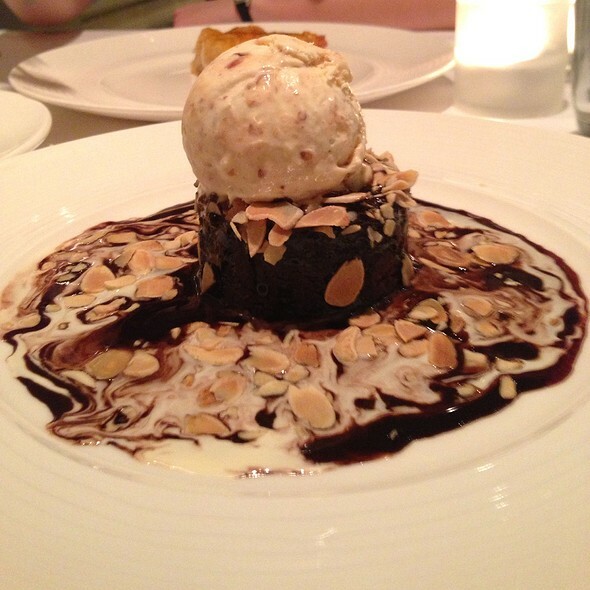 We have been half a dozen times over several years and its standards of cuisine and service never falter. Wonderful food (and wine) served in a smart but unstuffy ambience. Never disappointed! Always outstanding food and service. Lamb Pot-au-feu was delicious!